Settled in Kandy, a city rich with biodiversity and mountains, Rangala House is a tea plantation turned into a bungalow with sprawling views and a pleasant climate. The bungalow is found perched on the edge of the Knuckles Range - a UNESCO World Heritage Site - thus offering you spectacular green views. For a calm and peaceful holiday, away from the bustle of city lives, Rangala House with its five bedroom, large open spaces, and expansive gardens is the perfect choice. plus a further double bed (or two singles) on a raised gallery, accessible via a loft ladder. Rangala House features five bedrooms – three nestled in the main villa and two, ‘The Studio’ and ‘The Breadfruit Room’, located adjacent in a separate building. The bedrooms have en-suite bathrooms and provide amazing views of the neighbouring panorama. The main villa bedrooms are furnished with twin or double beds and each of them either offers mesmerising views from the veranda or access to a private garden. The Breadfruit Room is furnished with a double bed and has its own balcony from where you can get a nice view of the mountains. A secret garden and a lounge area complete this otherworldly space. The Studio is the largest room with a private balcony and a large four-poster double bed that leads to an additional double bed that can be accessed via a ladder. Nestled amidst a plethora of foliage and tropical flora, the free-size infinity swimming pool at Rangala House is an idyllic spot for relaxation. 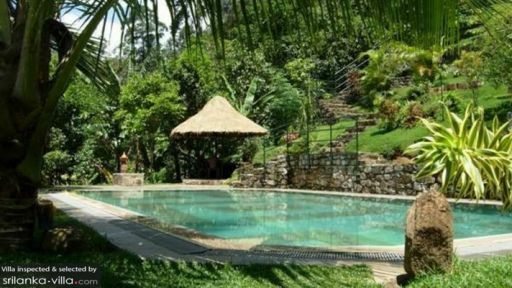 You can relax in the pool and gaze at the spectacular forest area that dominates the foreground. The understated beauty of this natural haven shines through the untamed hills of green. A thatched-roof pavilion stands majestically besides the pool with outdoor chairs for comfort so you can continue watching the sky change colours, trees swaying in the wind, and the serenity engulfing the region, in peace. Designed with a style that is reminiscent of a wood cabin in the mountains, Rangala House features muted colours, wooden interiors, a stone fireplace, and plenty of comfortable seating for a truly relaxing holiday. Enjoy the view from the 50-ft veranda which has been furnished with chairs, an alfresco dining area, and sofa. The living area is cosy and homely so you will have no trouble settling in. There is a corner which is the dedicated media lounge with plush seating and a TV for your entertainment. The traditional and classic interiors will take you back in time and you will love the endless blending of nature with traditional living. Forming part of the well-lit, fully-equipped kitchen that is available for use, the dining area comprises a breakfast bar with stools for seating so a fun breakfast with everyone would be the start of your adventurous day. You can always choose to dine outdoors against the stunning vista. The kitchen has all amenities including a microwave, blender, a wine cabinet, etc. The staff is friendly and kind towards guest and will happily make any suggestions, recommend places to visit, and even arrange walks along the mountain range upon request. You can hire the services of a driver to help take you around town and you can request for a personal chef to experience Sri Lankan cuisine like never before. This serene spot of heaven is marked by the Knuckles range where a hike would nothing short of spectacular. Walk along the tea plantations for delicious aromas and a tryst with nature. 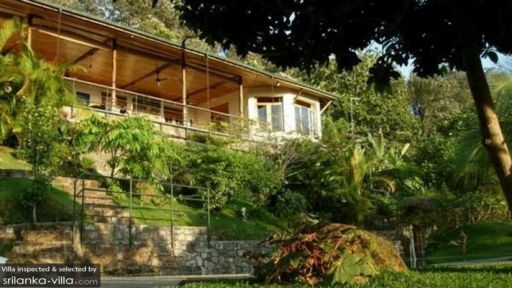 If you’re in for a laidback holiday, then this special home in Kandy is your place. We came here on a visit to the knuckles range organized by our hotel. Staff couldn't have been more helpful in organizing a walk we could do that took into account my limited mobility( as I have two artificial knees).we set off on a gloriously fabulous but gentle walk and got caught in one of the very typical short but torrential rain falls. We got back drenched to the skin and were promptly offered towels. .hairdryer etc to dry of. We then had the most fabulous home cooked lunch of pasta with the freshest tomato sauce I have ever tasted, beautiful local salads and freshly baked bread . This place is so beautifully maintained and planted it was an absolute pleasure to visit and I only wish we could have stayed . We stayed here for 2 nights during a 2 week tour around Sri Lanka. Set in a magical setting overlooking the Knuckles mountain range, this place is extremely special. Small boutique hotel with lots of charm. We did "Charlies walk" from the hotel. A 3 hour walk around the local hills and villages. The views are stunning and the locals are so friendly. Also well worth walking down the road for 10 minutes to the local cloth making factory. A few ladies making cloth on traditional looms. We had so much fun with them. They are happy for you to take photos and let you have a go on the looms. You can also buy their products such as sorongs, table napkins etc. which are lovely authentic souvenirs. This place is also excellent for doing a day trip to Knuckles mountains. It is a bit over priced at USD 40 pp for half a day but that seems to be the going rate. The highlight though must have been the food. The chef there is professionally trained and the food was the best we had on the whole trip. Do not hesitate to choose this place, it is extra special. Our family of 7 stayed here for 4 nights. The views were truly amazing even if the surrounding hills drifted in and out of clouds while we were there. The staff led by Amila made our stay perfect, nothing was a problem. Sebastian the chef gave us some of the finest breakfasts and dinners we have had and he was able to cater to our youngest children just as well. His 'apprentices' Chalika and Nyuen were SO polite and helpful. We hiked the 3 hr trek and were rewarded with stunning views throughout the local tea plantations.....if you stay here you should try this walk, it is a bit taxing but we'll worth it. Also, if you are up for a bit of rock scrambling get the boys to take you down to the local river where you trek into hills to find a beautiful river/waterfall. Our kids thought this was amazing. All in all this was a perfect spot to rest and unwind on our trip through Sri Lanka. One hint if you are just looking for a simple lunch, the shops across from e Ducktari Tea Factory make great snacks. Situated about an hour out of Kandy, this is an alternative to the day-long trip to Newara Elia to see tea plantations and enjoy some mountain air. It is an old house that has been converted to a small hotel with fairly basic rooms, but an astonishingly beautiful outlook. They provide lunch on request (need to book ahead to ensure there is space) and what we had was superb - a large and very tasty quiche, plus several dishes of vegetables and salad (enough to feed several people) plus a delightful ice cream and rhubarb dish for desert and coffee, all for about AUD20 per head. We would have paid that for the view alone, sitting on the broad terrace looking out over the expansive valley in the cool of the shaded verandah. We stayed at Rangala for two nights and loved it. Our room was simple but very comfortable, and opened onto the wonderful deck with views forever. Sam and his staff were friendly, very natural and eager to help at all times. A delight. The recommended walks through the tea plantations were excellent, the best we had in Sri Lanka. We will remember them for a long time. Eating on the deck with the other guests was very enjoyable. Sebastian's food was top-class, with the wild boar casserole a highlight of my husband's trip. 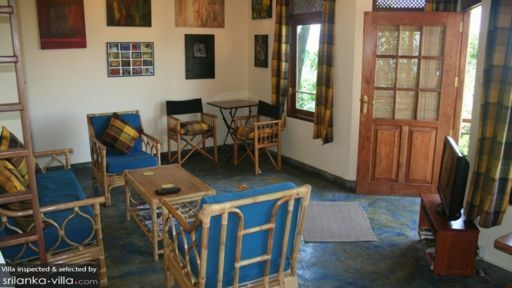 A great escape among the tea plantations, and great value for money. We would love to go back. My two friends and I spent two nights here and enjoyed every moment. We shared one room and found the bedroom spacious and very comfortable. Everything about our stay was perfect. We had spent the previous two weeks travelling round Sri Lanka so wanted some peace, quiet and comfort before we flew back to Ireland and Rangala House provided all of these in spades. The location is spectacular and the view from the veranda just amazing. The house has been beautifully restored with great taste shown in every aspect of the decor ( there are well-stocked bookshelves as well). The final cherry on the cake was the swimming pool where we were able to cool down after our walks. The garden is a delight as well - beautifully maintained and carefully planted and full of bird life! Walking through the tea estates was one of the highlights of our stay here and Sam gave us great printed directions which made getting lost impossible, We liked to get up really early and go for a walk ranging from 1 1/2 to 3 hours before it got too hot - then we would come back to a gorgeous breakfast on the veranda. We spotted some very unusual birds on these walks - but had to keep an eye out for leeches in the long grass! No mosquitoes though at this altitude. Sam and his staff were courteous, charming and helpful. Nothing was too much trouble for them. The cook in particular was first class and we enjoyed all of our delicious meals eaten on the veranda. All in all, Rangala House was everything we had hoped it would be and I just hope some day I can go back and sample its delights all over again! We spent 2 nights here. Unbelievable views form the verandah. Anthony, the owner was always interested in us and gave great advice on where to walk and what to see. Did 2 great walks into the tea plantations which were almost our SL highlight. My only gripe is that this was the only place in SL where we didn't get a Queen bed but 2 singles pushed together. Even in other Asian hotels we quite often get the two beds pushed together but at least they give us Queen sheets over the top. At Rangala the beds were even made up as singles. For the money we are paying I think they could perhaps have King sheets to go over the top. A small hassle but other places manage to get it right. Sebastian and Charlie were fantastic in the kitchen.